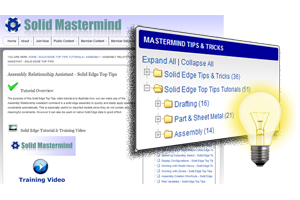 Your search for the smartest Solid Edge e-Learning and e-Help system is finally over. 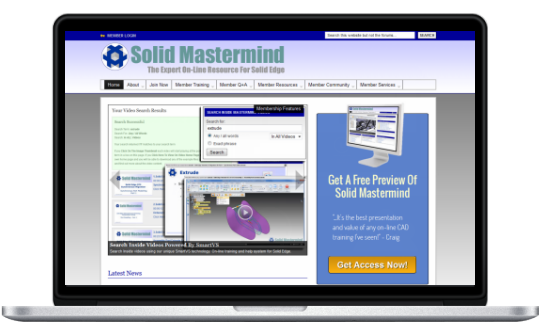 Solid Mastermind powered by our unique SmartVS technology sky rockets your use of Solid Edge. ...and being smart saves you time and money. Delivers the video tutorials you need, teed up and ready to play from the precise location relating to your search. No valuable time is lost searching through a deluge of unnecessary video footage. All tutorial files and PDFs are delivered automatically to your Dropbox. No valuable time is lost manually downloading files. Smartphone, tablet or workstation? View the streaming videos and all our content when and wherever it suits you. It's quick and easy to access, you just need an internet connection. Our streaming Solid Edge Tutorials & Training Videos can be viewed at any time to suit your situation and can be replayed time and time again. Learn Solid Edge at your own pace, and have access to a comprehensive, always current, training curriculum for Solid Edge 24/7. Read more about Solid Edge Tutorials here. 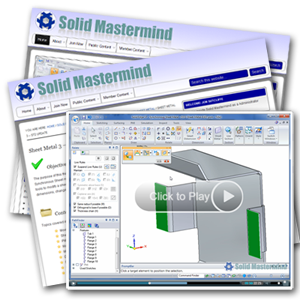 The services available in Solid Mastermind combine to deliver a comprehensive training curriculum for Solid Edge suitable for both novice and experienced users. You can access on-line training resources that deliver more than any equivalent formal Solid Edge Training Course which is typically classroom based. Read more about Solid Edge Training Courses here. To discover the hidden secrets of how to use Solid Edge you can access an extensive library of Solid Edge Tips & Tricks. These short on-line video tutorials, most under three minutes long, detail some of the most useful tips and tricks available when using Solid Edge. Read more about Solid Edge Tips & Tricks here. nside the Solid Edge Questions & Answers Vault you'll find answers to hundreds of previously asked questions from Solid Edge professionals. For clarity answers are delivered using multimedia audio or video where appropriate. Read more about Solid Edge Questions & Answers here. but now pay monthly with no long term commitment..
Did you know you can try Solid Edge for yourself? 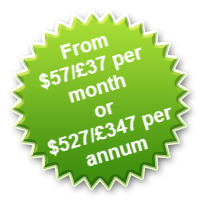 A free 45 day trial of the software is available. You can now test, measure, and quantify the productivity benefits of using Solid Edge with Synchronous Technology. Solid Edge 2D Drafting will give you a production proven 2D drafting system for free. Fully compliant with current drafting standards it is an ideal solution for those only working in 2D. An incredible resource for any serious Solid Edge user. 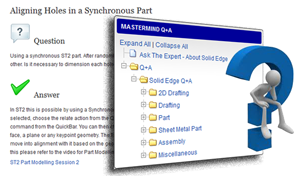 Two of the hottest training videos about Solid Edge with Synchronous Technology. Nearly one hour of free tutorials with example files available for download. Two of the best Solid Edge Top Tips fully detailed using video tutorials. A multimedia answer to one of the hundreds of questions within the Solid Edge Q&A Vault. A chance to try SmartVS the unique video search, locate and play system for Solid Edge. Provide your details now and experience 24x7 this unique Solid Edge on-line video training and video help system. Your information is secure with us and will never be shared with anyone.